The best way to figure out the price of your home is to do a comparative market analysis, (CMA) based on a few properties that are on the market now AND many properties that have recently sold. VIDEO: Thinking of setting a high starting price, and then lowering it? NO!!!!! Most sellers don’t want to hear that their home isn’t going to bring a higher price than the one down the street that sold 6 months ago. But, they may be unaware that the sold home had a ton of upgrades, and was in far better condition than their home is. A CMA will flush these facts out. The way you live in a home versus the way you sell it are two very different things. You basically need to move out, while still living there. Pretend the mayor will be visiting, with Martha Stewart on his arm. First, de-clutter counter tops, walls and rooms. Put away the pictures and paintings that personalize your home too much, You want the buyer to be able to picture themselves living in it, not how it has been lived in, in the past. Don’t strip everything completely or it will appear too inhospitable. Sanitize and spiff up all rooms, including floors, walls and ceilings. It’s crucial that the bathroom and kitchen are spotless, as buyers equate a home’s overall cleanliness from its kitchen appearance. Organize closets, so they show they are capable of storing lots of things. Have you ever opened a closet door once, and saw a pile of stuff come cascading down? What would you assume about that homeowners ability to look after a property? Make sure the basic appliances and fixtures work and replace old ugly faucets. It is not that expensive, and it gives a “halo effect” to the rest of the home. 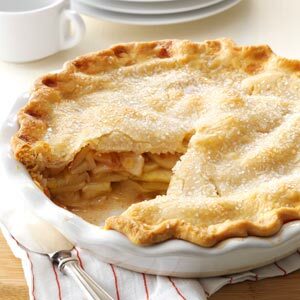 Make sure the house smells like Rachel Ray just finished baking an apple pie. Lose the kitty litter, and add a vase of fresh flowers somewhere in the house. Pleasant, but not elevator music in the background music is also a powerful way of filling the silence that occurs when doing a walk-through. No old plastic kiddie scooters or toys. No huge plastic playsets or dollhouses can exist. Lastly, make sure that the doorbell works. This place costs hundreds of thousands of dollars! Your agent is obligated to show you all offers that come in on your home. Don’t shoot the messenger. In any market, there might be a lowball offer. My job, as an agent is to “re-educate” the buyer’s agent about the property for sale, pointing out why the property is worth the money. Multiple offer situations are common right now, and secondary things take on importance, such as the credit worthiness and liquid capitol that prospective buyers have. The question? Can this buyer close? Many can’t. Be flexible with buyers who might be perfect candidates, but are asking for help with down payments or concurrent closes. As the market starts to turn back in favor of buyers, you’ll need to look at every offer very… compassionately. One of our preferred vendors,Pathway Escrow has a great set of FAQ’s for the specifics involved in an escrow. Don’t just take my suggestions. Here is a feature from the National Association of Realtors has a round-up of the best real estate advice they heard all year.